Join Airbender Aang and his winged lemur companion Momo on their mission to end the Hundred Year War and bring peace to the Fire Nation, Water Tribes, Earth Kingdom and Air Nomads. POP! 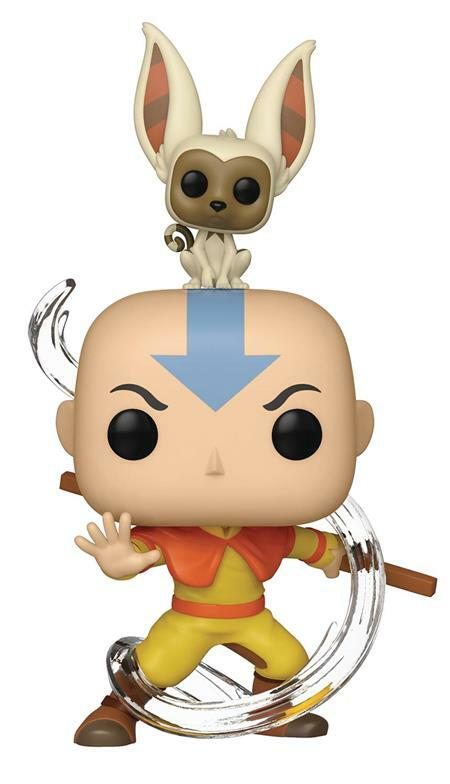 Katara, Sokka, Iroh, Appa, and Toph round out the story and Zuko is also available as a chase with a 1/6 rarity. Each Pop! figure stands about 3 3/4-inch tall and features the fan-favorite stylized design. Window box packaging.